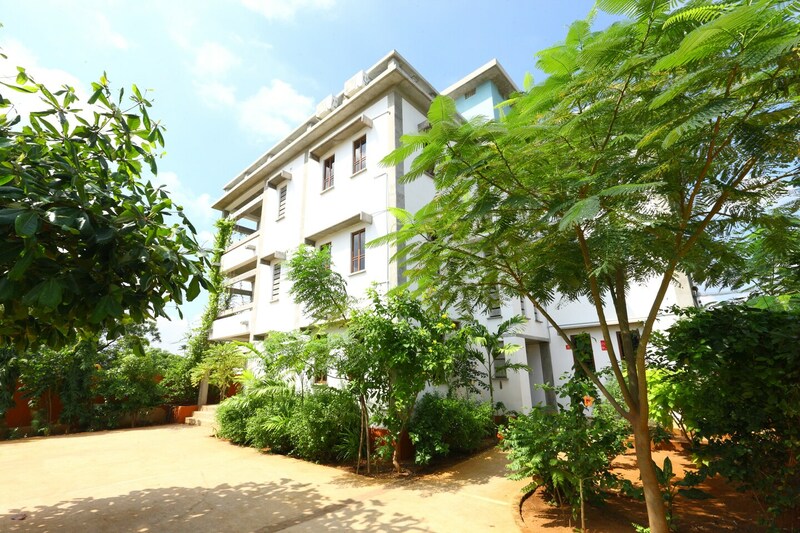 OYO 10054 near Auroville Beach is one of the most stunning properties one will ever lay ones eyes on. The bedrooms at the hotel have a simple gray and white decor with light colored walls and woof furnishings, making the rooms appear bright and comfortable. Key attractions of Pondicherry like Sri Varadaraja Perumal Temple, Varadaraja Perumal Koil, and Sri Aurobindo Ashram are within driving distance. The hotel provides its guests with free Wi-Fi and power backup so that they can stay connected with the rest of the social world. Other amenities offered by the hotel are a geyser, a hair dryer, laundry and parking facilities and a card payment option. The presence of CCTV cameras ensures a safe environment for the guests to stay in.